Before Spring Break, I gave my statistics students the assignment to design their own survey projects. 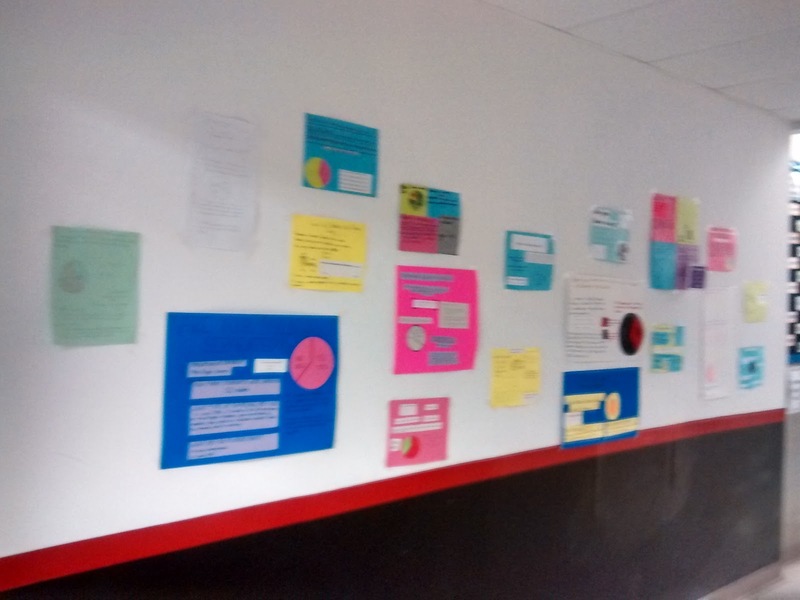 We spent well over a week on this project, but I definitely think it was time well spent. First, I gave my students this planning document to help them plan their survey projects. After students did this rough planning of their project, they took turns giving a "elevator proposal" to the class about their survey project. 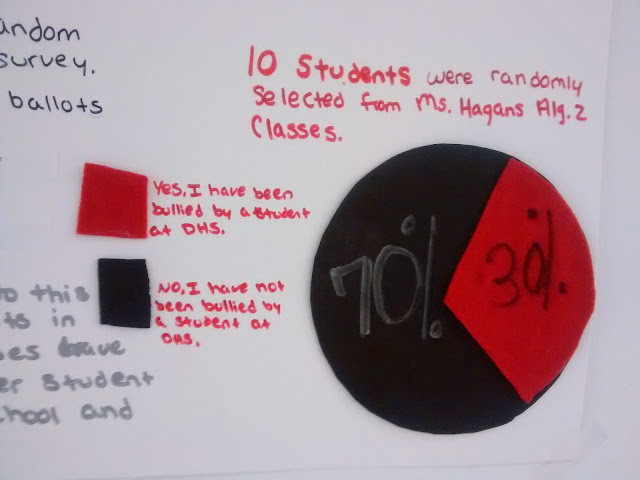 The rest of the class listened and asked questions to help them see potential sources of bias that they might have missed. It was quite entertaining listening to them give their presentations to their classmates. They were coming up with some pretty crazy sources of potential bias at times! 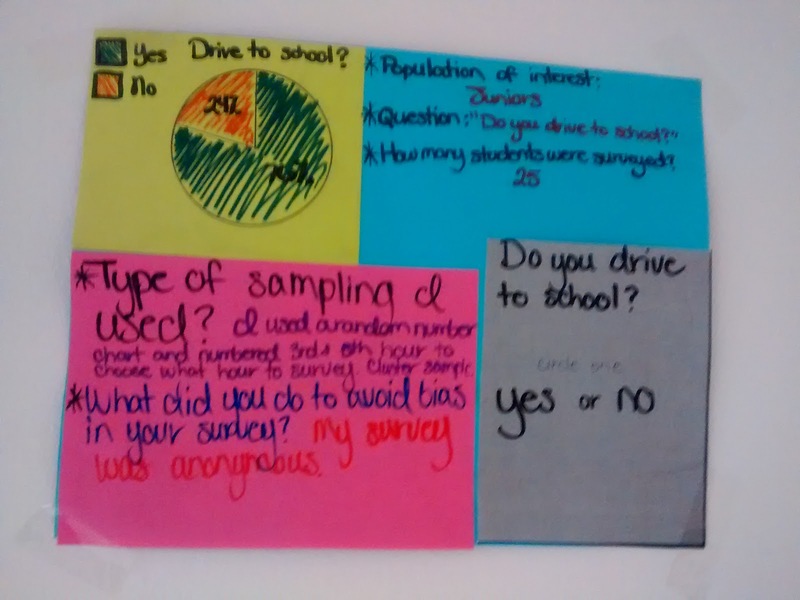 After they carried out their surveys, they were told to make a mini-poster to share their results with the school. 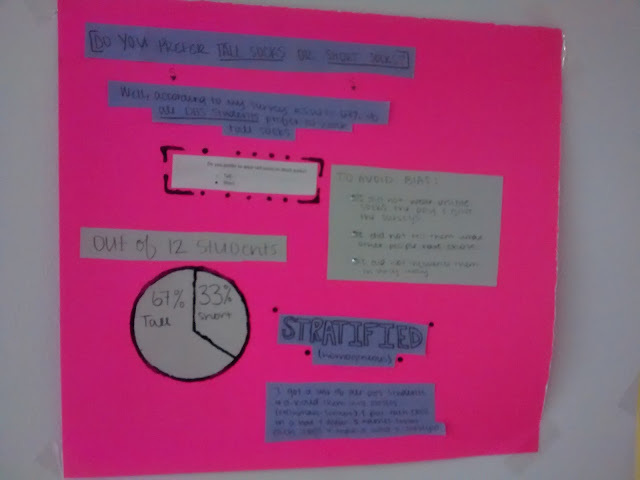 Here were the poster requirements that I gave them. Nothing fancy. Definitely thrown together at the last minute. 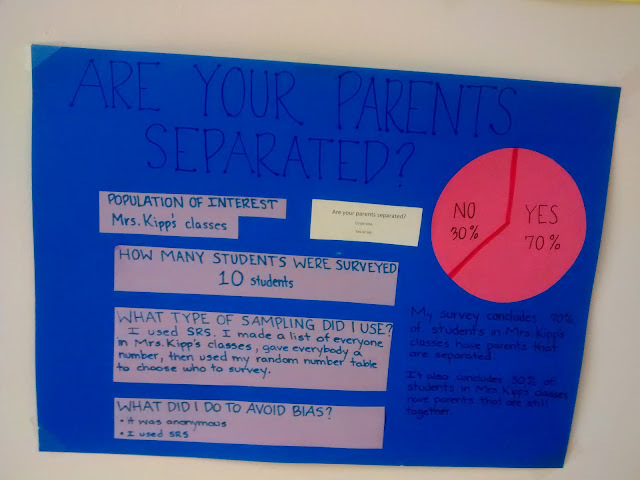 Several students decided a "mini-poster" was too small and insisted on a larger poster. I told them that was fine. 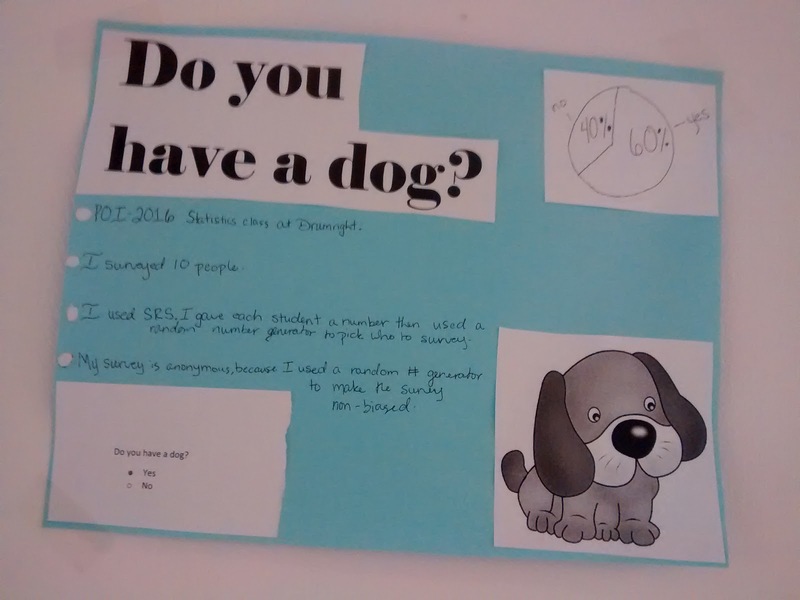 But, the smallest their poster could be was a letter-sized sheet of paper. Since hanging the posters in the hall, I've seen multiple groups of students congregating outside my room to read the posters. That's what makes this project worth it to me. Kids pointing and talking and discussing math. Have you cheated on your partner? 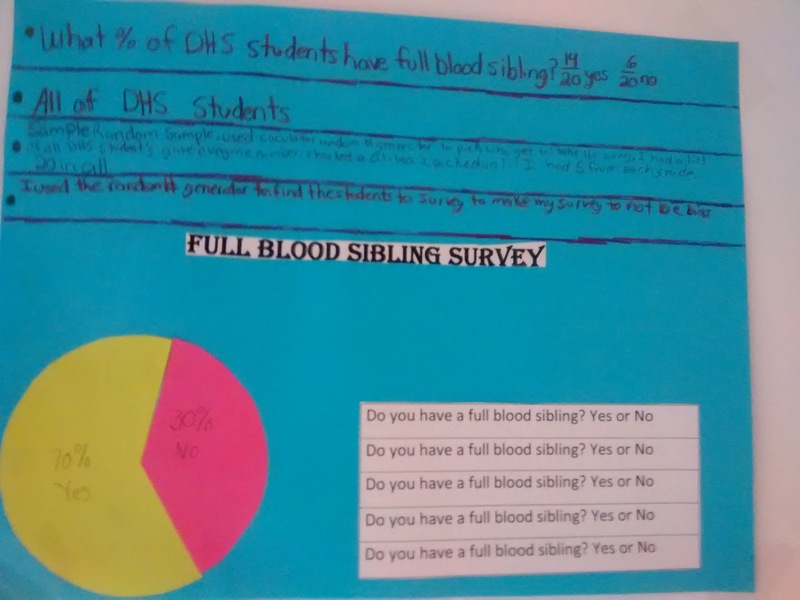 What percent of DHS students have a full-blood sibling? Do you prefer tall socks or short socks? 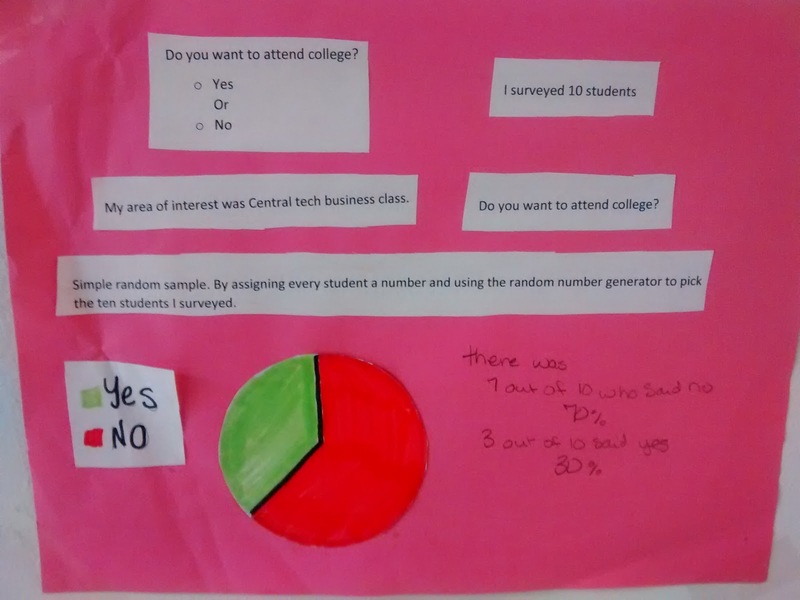 Do you want to attend college? How many years have you attended Drumright Public Schools? 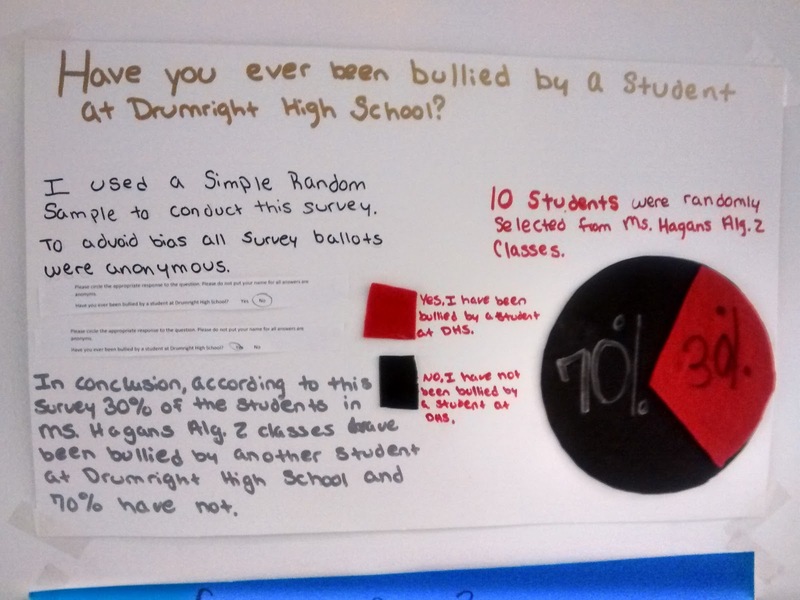 Have you ever been bullied by a student at Drumright High School? 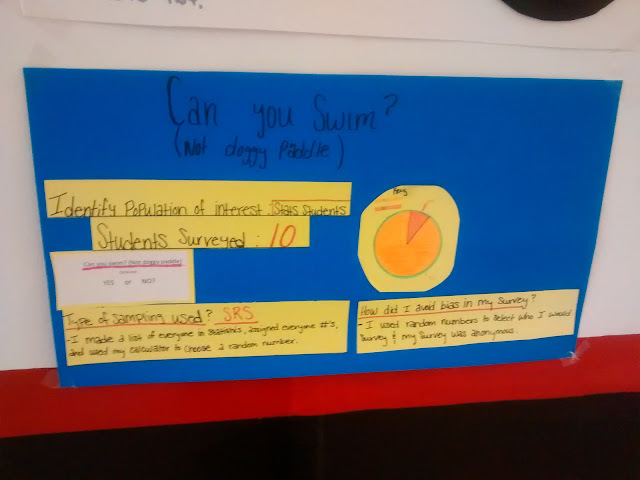 Can you swim (not doggy paddle)? 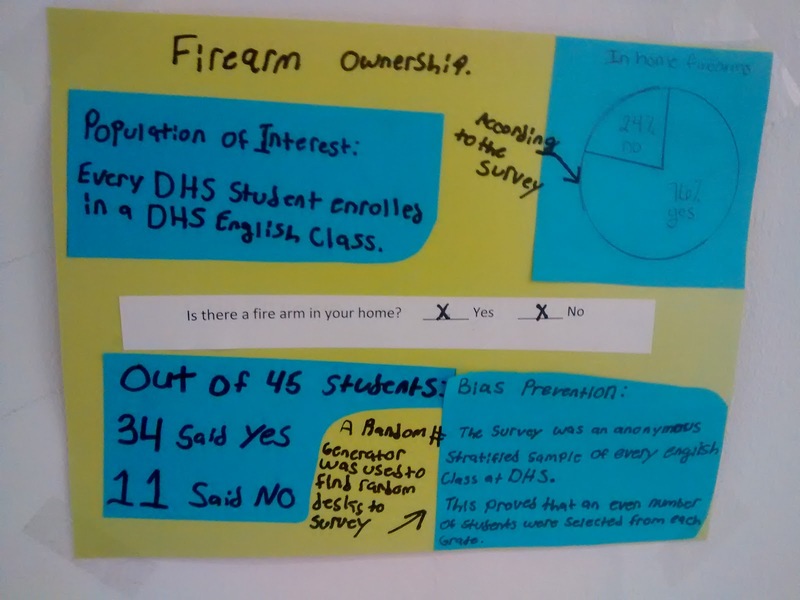 Is there a fire arm in your home? 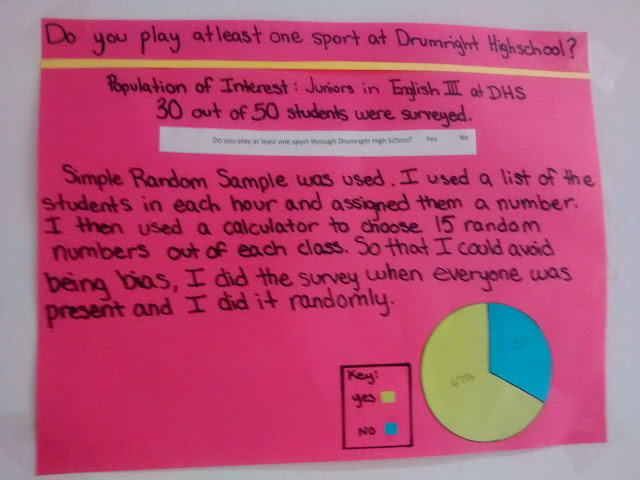 Do you play at least one sport at Drumright High School? 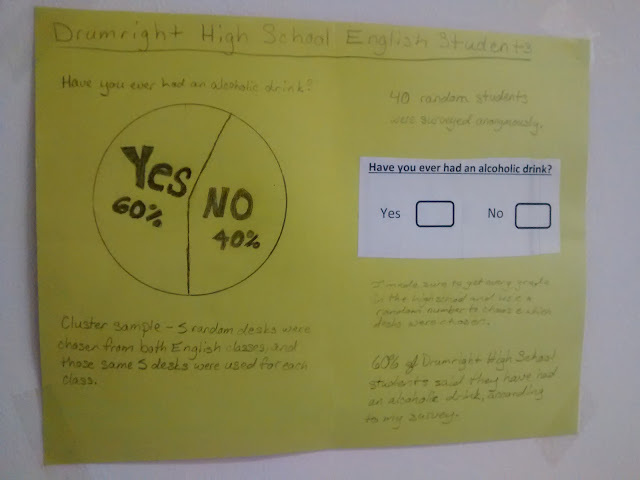 Have you ever had an alcoholic drink? 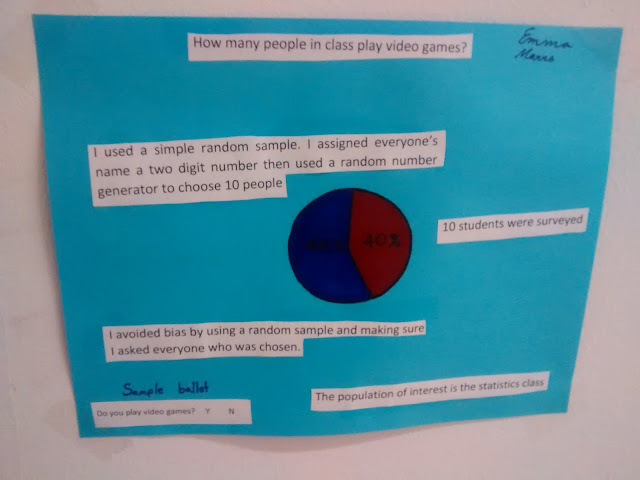 How many people in class play video games? 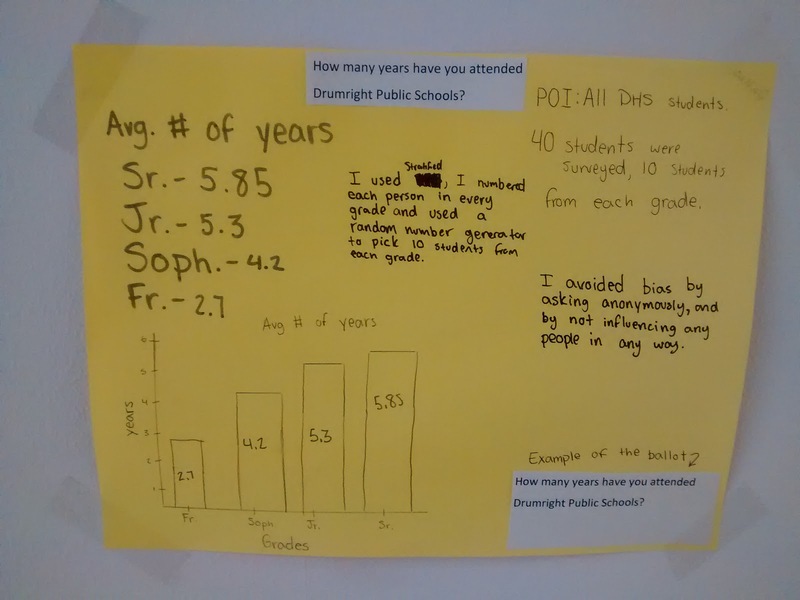 I like the mini-poster project as an introduction to statistics. Did you use a rubric for assessment? You do a great job of coming up with innovative ideas. I "steal" a lot from you! Thanks for always posting. 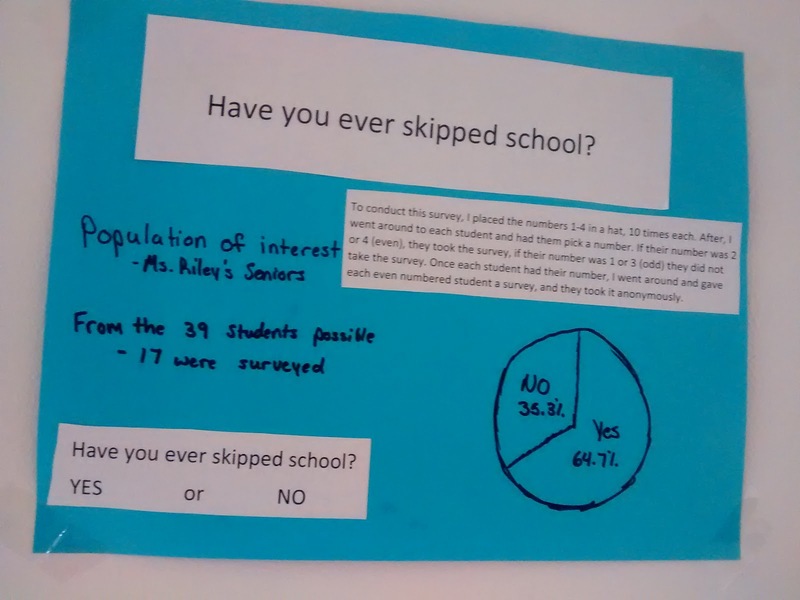 I too am curious how you graded this project. I am trying something like this for the first time with a low achieving group and am looking for direction on how to assess their learning. I made a rubric, but it is long gone. Sorry!